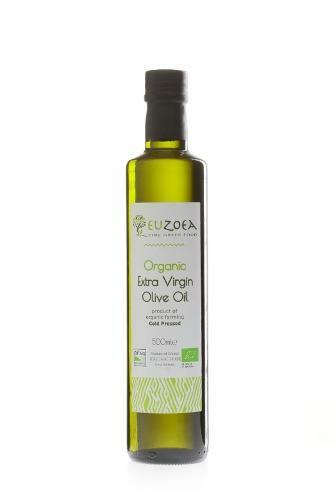 EUZOEA Organic Extra Virgin Olive Oil is produced in Crete following Organic Farming standards. 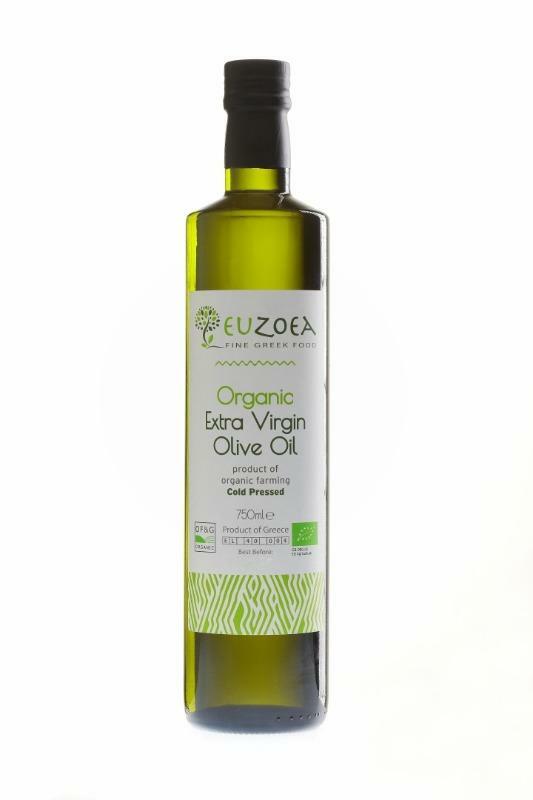 It is extracted from selected 100% monο-varietal Koroneiki, hand-picked, sustainably grown and organic olives. It is considered to be the finest of all varieties. The welcoming and hospitable Cretan land nourishes the olive groves and they flourish in full abundance. This is the ideal terrain for the Koroneiki to thrive, granting its olive oil with rare qualities. 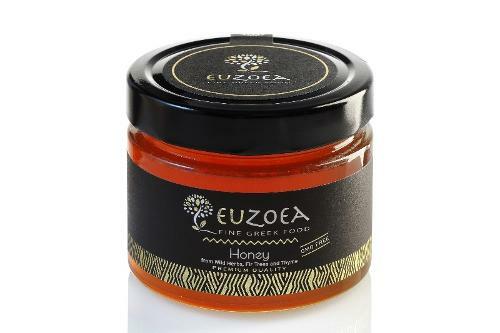 Euzoea Organic E.V.O.O. is extracted with the method of first cold extraction, at low temperatures (T < 27 oC), under controlled hygienic conditions. Where all necessary measures are applied ensuring the safety and suitability of the product at all stages. It is filled with valuable antioxidants, granting its nutritional value in everything it is added. It has a very low acidity level -- lower than 0.8% per 100 grams and it is highly nutritious, tasty and aromatic.